I know I’ve been guilty of committing this error in judgment on more than one family drive gone wrong. Perhaps, you are without fault in this realm of life. (meaning you are either a robot, blind to your faults, or afraid to tell the truth) At the very least you’ve surely heard someone else articulate a similar rationale for staying the course – even when the course appears to be leading you in the wrong direction – simply because of the resources that you have already spent. In economics, this concept is described by the term sunk costs. While sunk costs absolutely influence our decisions, if you were to follow economic theory, you would never make decisions based on sunk costs. Instead you would logically analyze your options and choose the best path forward regardless of what was previously spent. Decisions based on sunk costs are typically driven by ignorance, emotion, fear, or delusion, and the larger the sunk costs are, typically the harder it is for people to change course. Taking sunk costs out of your decisions, or at the very least objectively evaluating them against alternatives, is tough to do. We human beings are creatures driven at least as much by emotion as by logic. Making matters worse, we rarely have perfect and complete information to let us know how to properly evaluate our alternatives and we frequently have the pressure of time and money constantly bearing down on us. Even when we know what the right decision is, actually doing something about it is a magnitude of order more challenging. 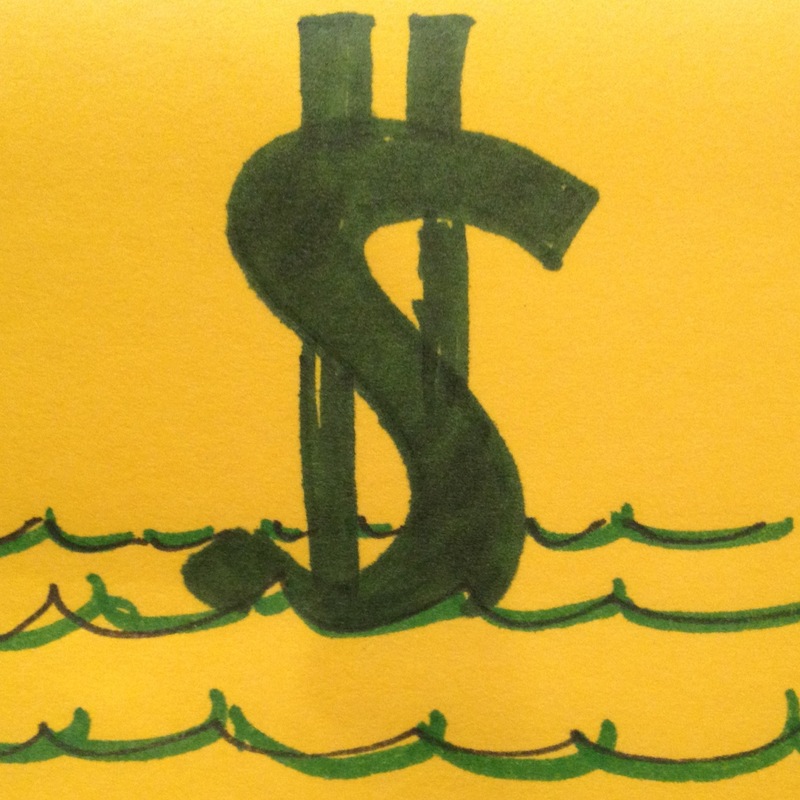 So what is one to do to overcome the problem of clouded thinking caused by sunk costs? Start by simply being aware of the problem that sunk costs present a challenge to your decision making. Realize that this is a factor that can and likely will cloud your judgment, and try to let that realization put things into a proper perspective. Another way to overcome the bias of sunk costs is to use data to better inform your decisions. In reagard to your marketing, pay attention to the growing volume of data that is created from every online search, paid search marketing, website analytics, social media, online transactions, and each and every point of customer engagement. Take that data and use it to evaluate the effectiveness of your current efforts, plot potential alternative courses of action, and guide the decisions you make – realizing that sunk costs will be biasing your judgement. Finally, ask others for advice on how to proceed. It’s far easier to ignore sunk costs when they are someone else’s. Seek out the opinion of friends, trusted colleagues, or outside professionals and ask them for advice. Even if you do choose to stay the course, at least you will do so knowing it was the best available choice. Don’t let yesterday’s bad decisions sink tomorrow’s chances for success.